Brand New Construction home, still time to pick your colors. Are you ready to make this great house your next new home? SW Freshwater canal Gem!!! 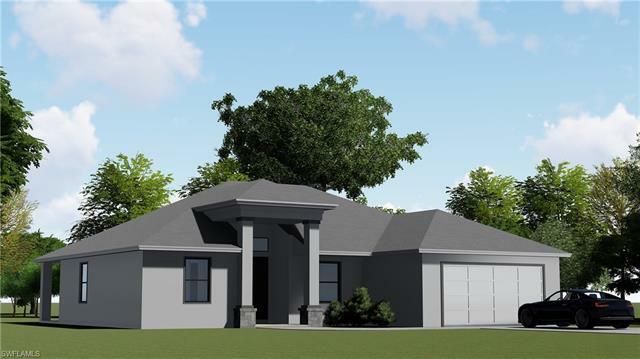 This new home boasts 3 Beds with a Den (can be used as a bedroom), 2 Baths. The open kitchen has granite, walk-up bar and separate breakfast/dining nook overlooking the back lanai area. The master suite includes a tray ceiling feature; the master bath is spacious with double sinks, a walk-in closets, a walk-in shower. Tile throughout the entire house. This home offers significant curb appeal with dimensional shingles and a upgraded landscape package. Great outdoor space for relaxing and entertaining. This house boasts roaring high ceilings, with the best of the bells and whistles too. New contemporary design will give you the best of Florida living. *pictures are representative of some of the details and finishes the builder uses.